Dan Spainhour has more than 34 years of high school and college coaching experience. He has received numerous awards during his coaching career, including three state championships and twenty coach of the year honors. His teams have collected more than 500 victories and has won nearly 70% of his games. In 2008, Spainhour returned to high school coaching after serving as the director of basketball operations for Florida State University. At Florida State, Spainhour was involved in all phases of the day-to-day operations of the men's basketball office. He handled the on-campus recruiting, recruiting mailings, office and team fiscal matters, team travel, academic development, dining and housing contracts and served as the director of the annual Leonard Hamilton basketball camp for boys. He helped led the Seminoles to the quarterfinals of the National Invitational Tournament in 2005. He also coached at the University of Miami where he worked under current Florida State coach, Leonard Hamilton. During his time at Miami he helped lead the Hurricanes to their first NCAA tournament appearance in 38 years. His teams have won the prestigious Frank Spencer tournament twice and have been to the state playoffs every year he has coached. 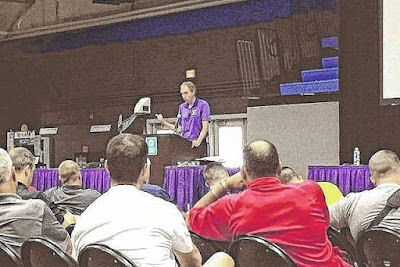 In 2017, Spainhour was selected to speak at the North Carolina High School coaches clinic, one of only two high school coaches to receive such an honor. Spainhour also has experience as Athletic Director having served in that capacity at West Stokes and Bishop McGuinness High School. As Athletic Director of West Stokes High School he managed 32 athletic teams including scheduling, budgeting, hiring of staff, travel arrangements, academic enforcement and facilities coordinator. He also organized, directed and established funding and sponsorship for the formation of a new high school athletic program. Spainhour was the founder of Educational Coaching & Business Communications, a company that later merged with The Leadership Publishing Team. He is the editor of The Coaching and Leadership Journals as well as the author of several coaching, leadership and motivational books. He is a recipient of the Governor's Laurel Wreath Award as an Ambassador of Athletics in the State of North Carolina. Spainhour earned his bachelor's degree in health and physical education from High Point College and his Master's Degree in sports administration from the University of Miami.